Home visits are made if clinically indicated and are at the doctors' discretion. Home visits at any time should not be requested just because of lack of transport. Attendance at the surgery provides better facilities for examinations and access to all medical records. Requests for home visits should be made before 10am. Please give the receptionist as much information as possible. Symptoms and an estimation of the urgency of the problem. 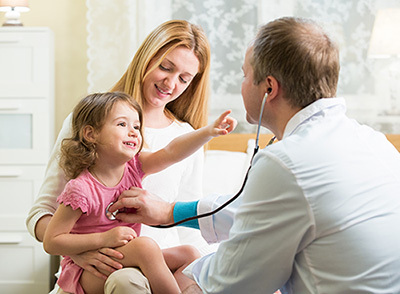 Please note that it is safe to bring a child in with a temperature to the surgery and that several patients can be seen at the surgery during the time it takes for a home visit. The doctor may telephone you rather than visit you if this is medically appropriate. Ultimately it is the doctors right to decide whether or not a visit is appropriate for a particular set of circumstances.